A shift from one of the other 11 Market States to Market State 2 has occurred 222 times. Market State 2 moved to Market State 1, the most “Bullish” Market environment, 74% of the time (165 times out of 222 events). The 2 largest declines, during the 222 Market State 2 events, were (-9.8%) and (-8%). A normal Bull Market correction is defined as a (-10%) correction from the highest peak value. Evidence confirms that Market State 2 is a low risk environment. Of the 222 Market State 2 periods, the S&P 500 closed higher 69% of the times (MS 2 closed higher 153 times and lower 68 times). Canterbury Volatility Index (CVI 74) – Bullish/Low Risk: This week’s two 1% plus days only had a 2- point impact on the CVI score (no meaningful impact on volatility). The two Canterbury studies have shown statistically relevant evidence that low and decreasing volatility is a characteristic of a bullish or low-risk market environment. On the other hand, high and increasing volatility is a characteristic of bearish or high-risk environment. About Monday and Tuesday’s wide trading range. Canterbury Portfolio Analytics defines an “outlier day” as a day that closes with a change of +/- 1.5% or more versus the day before. The financial news led us to believe that last two day’s volatility day were unique and meaningful. The reality is that both day’s fell short of meeting the requirements of being defined as an outlier. The S&P 500 was down -1.1% Tuesday and up +1.3% Wednesday. The Nasdaq was down -0.5% followed by an up +0.7% day. It is interesting to note that the S&P 500 has not experienced a single “outlier” (1.5%) in the last 37 trading days and counting. Contrast that to the 50 trading days, that preceded the 37 days streak, which saw 21 outlier days (almost half of the days), with a +/-1.5% change. The truth is that the U.S. equity markets are overdue for an outlier. The last two days price action was mild when compared to similar periods when there is an extreme shift from high to low volatility. There are some sectors of the equity markets that are stronger than others. That said, most bull markets are led by the more “aggressive” sectors of the market. These sectors would include Technology and Basic Materials. Bear markets will tend to have “defensive” sectors like Utilities or Consumer Staples leading the market. Below is a chart of the 10 sectors of the S&P 500 and the percentage of stocks within those sectors that are Bullish (green), Transitional (yellow), or Bearish (red). From this chart, you will notice that the more “aggressive” sectors tend to have a higher percentage of stocks within those sectors that are Bullish. Meanwhile, more “defensive” sectors have a lower percentage of stocks that are Bullish and a higher percentage of stocks that are Bearish. In addition, the more aggressive style indexes continue to lead the market. Growth styles, which based on tradition are more aggressive, continue to outperform on a risk adjusted basis. Value styles, like large cap value, often thought as being more defensive, tend to lag on a risk adjusted basis according to Canterbury’s Volatility Weighted Relative Strength ranking (VWRS). The advance decline line continues to remain strong, showing a positive divergence by putting in new highs when the market is not putting in new highs. Every security or investment style will experience periods of both efficient and inefficient (or high risk) trading environments. Therefore, it is not logical or prudent to assign a “risk label” (conservative, moderate or aggressive) on a financial security or market. For example, the “risky” S&P 500 had been an efficient - low risk bullish Market State from 4/16/2016 through 2/8/18. During that time, the maximum peak to trough decline (drawdown) for the S&P 500, was only -4.63%. On the other hand, the “conservative” 7 to 10 Year Treasury Note ETF (IEF) has been in a high- risk bearish Market State for almost all of the time following its initial sell signal on 9/2/16 through the present. The maximum decline in the bond ETF was about (-12%). Bonds experienced almost 3 times more risk of capital during that time. I would caution those who believe that bonds are always appropriate for conservative investors. The most efficient portfolio is the one that can produce the highest return verses risk taken. The efficient portfolio must be able to adapt its holdings to benefit the changing environment. According to Investopedia: Tactical Management is a minor form of market timing. The Investment Advisor can move to the higher end of the range when stocks are expected to do better and to the lower end when the economic outlook is bleak. When the “economic outlook is bleak” a Tactical manager will typically move to cash or Treasury Bills. Most Tactical managers can add an additional level of diversification when combined with several passive and active investment managers in a strategic portfolio strategy. The primary objective of Adaptive Portfolio Management is to maintain an efficient portfolio with low risk and high potential for return through variable market environments. An “adaptive” portfolio, like the Canterbury Portfolio Thermostat, can draw from hundreds of asset classes and specialized ETFs designed for specific diversification needs. Today we have over 2,000 Exchange Traded Funds that cover almost any kind of investment one can imagine. There will always be an asset class or specialized ETF that will benefit from a different market environment – bull, transitional, or bear. As of today, the market is in a Bullish Market State. 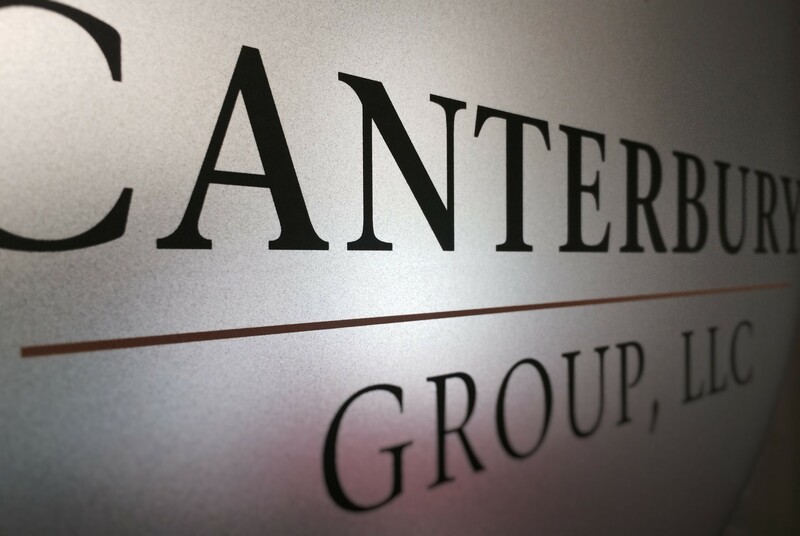 Our Canterbury Portfolio Thermostat is 94% invested. Our portfolio is positioned to benefit from the existing market environment. Adjustments will be made as the environment changes.